Trust Pharmacy – Can You Really Trust An Online Pharmacy? Medications have become one of many artificially created substances that human beings use every day. However, unlike things like plastic products and other materials that we use commercially, medications must be taken into the body, which means that scientists, researchers, and ultimately the companies producing them must ensure the populace that the medications are safe to consume. Thankfully, medications must go through a rigorous process to be accepted as a treatment for conditions. But, what about pharmacies, especially the ones online? Is there a way to assure that we can trust them? The pharmacy has plenty of features that are geared towards making the experience more enjoyable for their customers. For example, they offer plenty of special offers right on their homepage, offering some of the lowest prices for meds, especially bestsellers like Viagra and Cialis. They offer to present the site in a number of languages and different currencies that suit the user’s needs. They have even provided US and UK numbers that you can use to contact the customer service with if you are experiencing any trouble. Finally, they have guaranteed customers that delivery will be prompt and on time. However, despite all of these amazing claims on the site, there is still reason to shed suspicion on sites like these. One of the main problems that online pharmacies face is establishing a sense of reliability and trustworthiness with their clients and the public in general. This is due to the fact that thousands of prior customers have been able to share their experiences of getting scammed out of their money by a seemingly legitimate online pharmacy. Canadian pharmacies, for example, have made quite a name for themselves online due to the lowered prices compared to other Western countries and the exceptional service that Canadian healthcare is known for. However, it seems that many websites claiming to be based in Canada are not, which spreads the doubt about which sites to trust. For Canadian pharmacies, there is an association called CIPA that is composed of approved and licensed pharmaceutical vendors. They have dedicated their time and efforts to find out which Canadian sites are the real deal and which are not. They have also conveniently set up a list of sites that are approved or otherwise. CIPA members are known not to send spam to customers of their services, nor do they sell any substances without someone presenting their prescription. Unfortunately, it seems that trust Pharmacy has been included in the rogue pharmacy list, which means that it cannot be trusted despite its name. 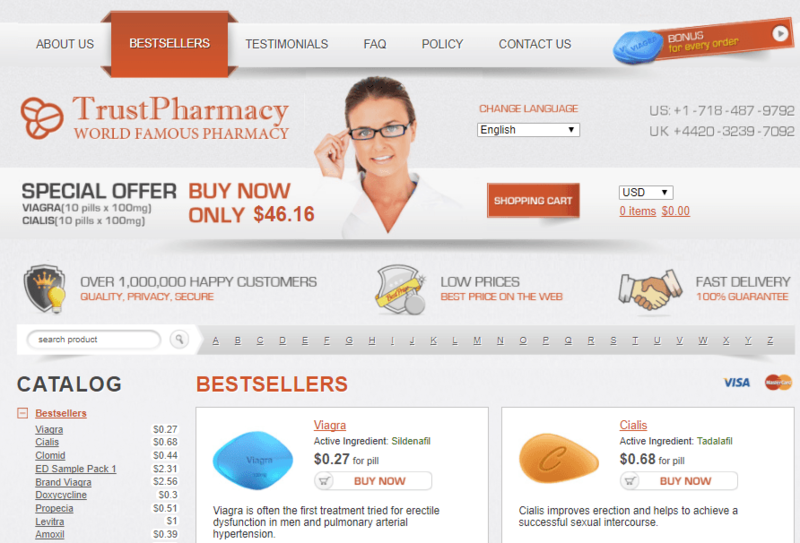 Trust Pharmacy has definitely set itself up in the online world with a widespread name and reputation. This can be seen in the fact that there are several hundreds of people ordering their drugs from the site every day. The same can be said of others of the same vein, it seems, as there is another pharmacy that is located in the UK at Nottingham, which shares the same name as the Trust Pharmacy predecessor from Canada. 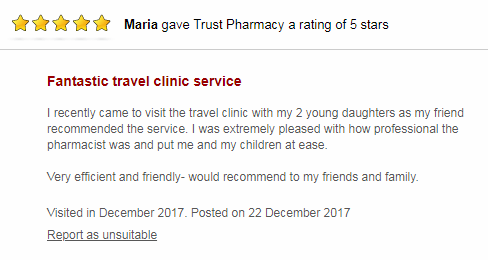 Many of the customers that have used this service have given an excellent rating to the website and declared that the pharmacists on site were professional, and that service was efficient and friendly. Aside from being helpful, the professionals helping customers also displayed compassion and dedication to their field. One person gave an account of leaving behind their medication, to which the pharmacy helped them recover it. Also, some had said that they had been able to receive their drugs promptly upon arrival. In the same vein as Trust Pharmacy, it can be easy to be misled by the little markers you can find on a website, such as the security guarantees and the free shipping fees, but it is ultimately up to the client to look into the validity of a site or face the possibility of getting scammed. When it comes to any business, trust is an important aspect that lets customers put their faith in you and has them coming back for more service. Online pharmacies need to overcome the hurdle that comes with internet business stigma. Unfortunately, many websites are not helping their case at all. 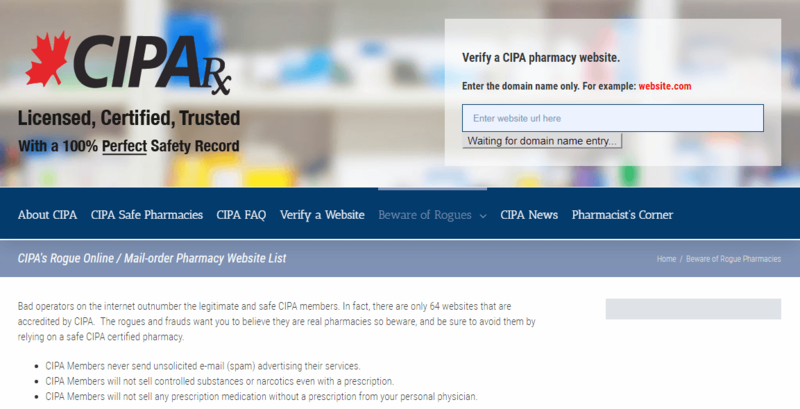 Trust Pharmacy, while having the look and feel of a genuine online pharmacy that will help you get the meds you need, the site has actually been flagged as a site that is not reliable and that should not be engaged with by the CIPA. Other pharmacies of similar names such as the Trust Pharmacy operating in the UK and World Trust Pharmacy need more digging for you to really determine if they are good websites to be using. One of the many ways to do this is to consult review websites and organizations that accredit online pharmacies. Finally, you can take a look at the approved online pharmacies we’ve got recommended for readers here.